Hands up who else thinks Australis are really killing it lately with their new product releases? Two cases in point. 1. Velourlips - shops can't keep up with demand for these super long lasting lip creams. 2. Contouring & Highlighting palette sold out in 2 weeks (though I've heard it's now back in stock). And now they're releasing an eyeshadow palette which is also bound to be a best seller. The Bronzeyed Girl eyeshadow palette contains 6 shimmery shades of golds, bronzes and coppers. They are all incredibly pigmented and they would make a great addition to a summer makeup kit. I found two of the shades slightly chunky with some fallout (the top 2 from the left), so a primer would make them more wearable, but the other 4 shades are absolutely beautiful. collection. 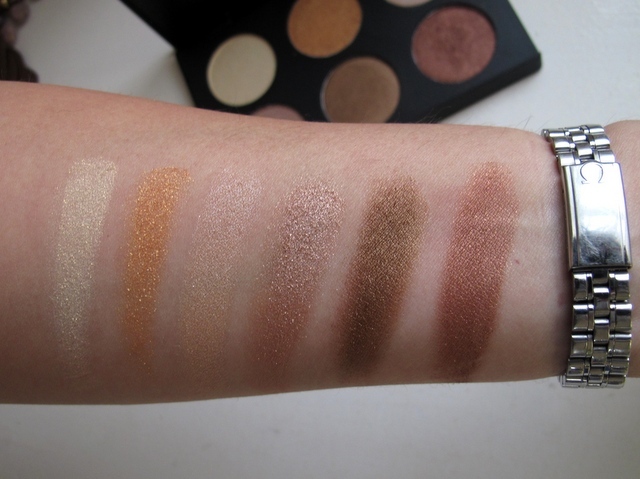 My absolute favourite shade is the beautiful rose gold on the bottom left (4th from left in the swatch below), it's nice worn on its own or with one of the darker shades in the crease to create depth. It is possible to do a complete eye look with just this palette, but if you love blending colours and creating intricate looks then you'd probably wish there was a matte blending shade included. But you know what, if you love blending various colours then chances are you already have a matte blending shade in your collection. Here's a quick eye look I've done using only this palette. The palette is quite large, it's the same size as their contouring palette but that also means you're getting generous sized eyeshadows. It is $9.95 which I think is fabulous value and it's available from BigW stores soon. What do you think of this eyeshadow palette? Do you like the colours? Any other favourites from Australis? These are the shades I'm normally drawn to, so I'll definitely be picking this up. Looks fantastic. Wow. These are stunning. The basic shades all in one palette for $10!! Cant beat it. Awesome. I haven't bought anything from Australis for an eternity! 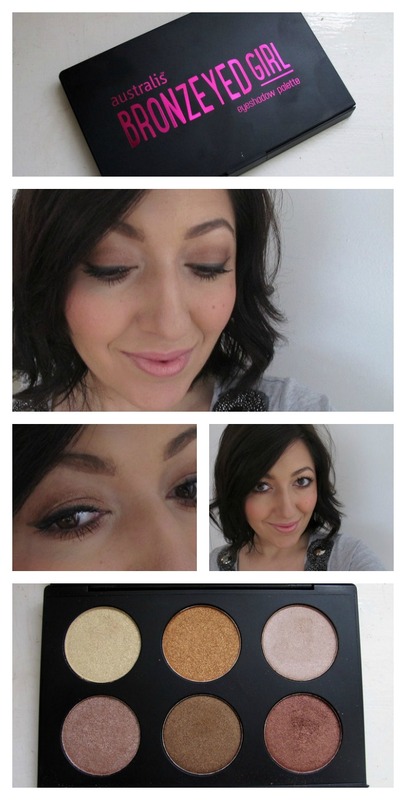 I really like these shades and you've reminded me I need to get into the Velourlips phenomenon!